Jody Kistaitis takes us through five ways that the contact centre can interact with customers via SMS. There are many ways to communicate with customers. But if you’re not effectively engaging them with SMS conversations, you’re missing an important piece of the customer experience. According to Pew Research Center, text messaging — most commonly done as SMS messaging — is the most widely used smartphone feature, surpassing phone calls, emails and internet use. And it continues to grow. Last year, West Interactive Services sent an average of 76.5 million SMS messages per month. In June, we sent more than 131 million, creating an estimated year-to-year increase of 87 percent. Phone traffic has increased at a much slower pace, growing by only about 5 percent. More and more people simply don’t like calling, so supporting the texting channel has become an important piece of an enjoyable customer experience. As a lower-cost and more convenient option, SMS is growing into its position as channel of choice for the future. And businesses have started taking notice. In my experience, text messaging is the most highly sought-after channel for brands wanting to connect with their customers. But that doesn’t mean all brands are on equal footing. Many forward-thinking companies have used text messaging since its earliest days and adapted to changes, but others have merely maintained old technology. And for any newcomers to the channel, there may be more to SMS than you’d expect. The “short message service” has come a long way since the first text was sent in 1992, so here’s everything you need to know about our thumbs’ favourite way to communicate. The earliest use of SMS in the corporate sphere was pretty limited. A business had something to say, so they sent out a single text message blast to get the word out. Much like TV advertisements or highway billboards, it was “I speak, you listen,” and that was the end of the conversation. A pharmacy could send a reminder for someone to refill a prescription, but it would have no idea if the person decided to order the refill or even if he or she received the message. With a cell phone in 91 percent of American adults’ pockets, one-way SMS is still an effective way to share news and important information. But the market soon realised there was a better way to use the tool to provide greater benefit for both consumers and companies. With two-way SMS customers respond to messages sent by their favourite brands. A television provider might send a message warning the consumer her subscription is about to expire. The recipient can instantly let the provider know she wants to renew, and automation will take care of the rest. That’s convenient for everyone, but it still has its limits. Responses to these types of messages are usually limited to specific keywords. For example, the TV provider might ask if the subscriber wants to renew by responding SUBSCRIBE or CANCEL. While that’s easy to understand, it’s hardly conversational. As Americans adapt to new technology with advanced voice recognition systems, they expect more from text recognition as well. And so a third form of SMS conversation emerged. Some text requests become too complicated for automation to handle. 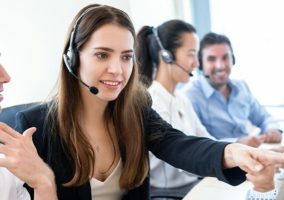 So to keep the conversation going in the customer’s channel of choice, some leading-edge companies have initiated conversational SMS using programs that transfer the customer to an agent when necessary. When a request becomes complicated, there’s nothing more effective than getting help from an actual person. So programs like West’s SMS Assistant brings an agent into SMS conversations. SMS Assistant is a web-based application that works much like an online chat service. An agent types a message on screen, and the customer reads it on his cell phone. The service also suggests responses and lets the agent communicate with multiple people at once, keeping every conversation moving smoothly. These types of SMS conversations have been around for about two years and are still evolving. By combining automation and agent support, consumers will frequently exchange 20 messages before ending the conversation. But as new as conversational SMS is, innovators are already at work implementing the next stage in SMS’s evolution. 8YY texting, also known as toll-free texting, makes connecting with consumers even simpler. Instead of asking your customers to text you via a new five-digit number, why not use the number they already know? With 8YY texting, a company’s toll-free (1-800, 1-888, etc.) number receives SMS text messages. That’s channel of choice in the simplest form. Contact West Interactive Services to learn more about how you can implement 8YY texting in your business. 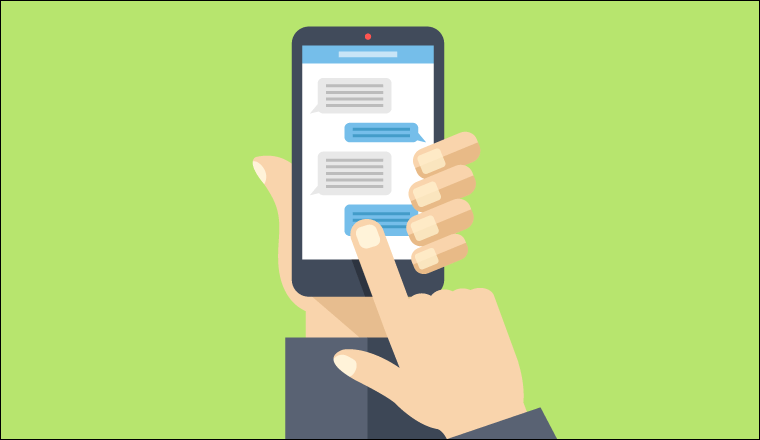 While connecting your toll-free number to SMS is currently the cutting edge of SMS conversations for business, communications companies continue to innovate, and West is testing out a new product that maintains conversational SMS but cuts out the agent completely. West is currently testing a new chatbot for the nation’s largest utility provider. The chatbot will allow they company’s customers to start or stop service or ask frequently asked questions. By reading text, viewing images and understanding context clues, SMS chatbots learn from every interaction with a customer. Chatbots are already being tested in medicine, psychology and customer service, so these new developments in artificial intelligence are clearly the fifth generation in SMS technology. From radio to phone calls to webchat, every channel has its best practices. Over the years, SMS has proven to be most effective through conversations. So if you’re new to SMS or are looking to upgrade, make sure your new solution is up to date and gives your customers the best experience. And check out this article for a few more ways to create exceptional CX for the self-service generation. Be on the lookout for the next stage in SMS’s grand evolution. As its popularity rises, customers will surely be communicating to companies with their thumbs for years to come.